Three years ago bodies were dropping in Ciudad Juarez at a rate of ten to fifteen per day. 3,300 fell in 2010 alone, often piled up on roadsides, hanging from bridges, or dismembered and scattered about busy intersections. Convoys of green-clad soldiers and blue-clad, masked federal police officers raced constantly through the streets, futilely chasing random bursts of gunfire. Extortionists left scores of businesses burned to ash, while hundreds more closed under related economic pressures. More than 250,000 people fled the city for calmer lands, and nearly everyone learned to stay indoors after dark, leaving the streets a ghostly empty. Rival cartels were in the thick of a bloody war for control of one of the world’s most vital smuggling ports for drugs en route to America, and Juarez descended into Hell. And then, about a year and a half ago, the violence abruptly stopped. People were still being killed, but at rates now comparable to many large American cities. 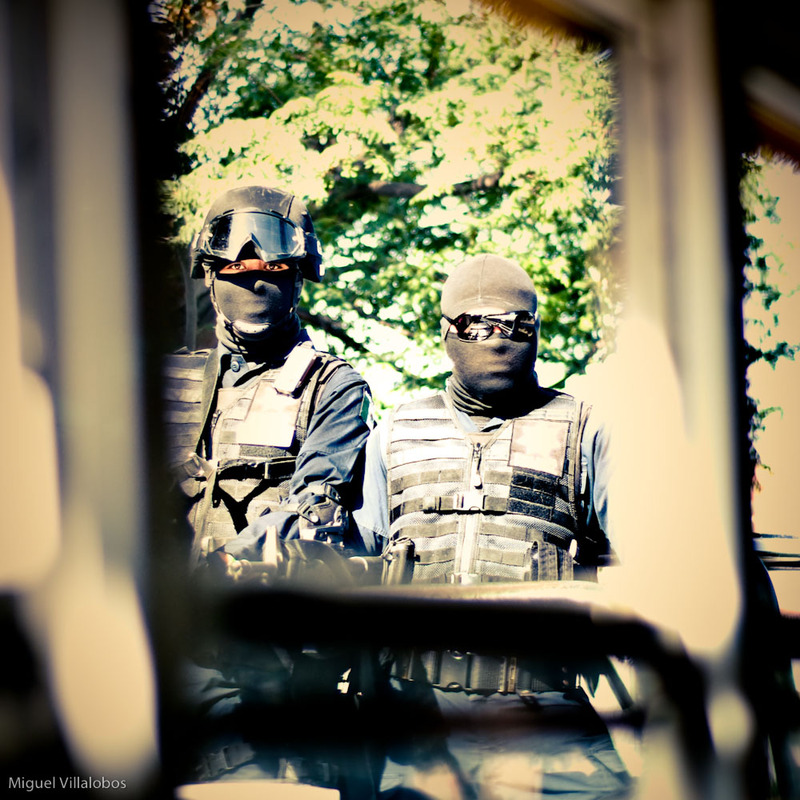 The army and federal police forces have withdrawn to their barracks, the municipal police were given their weapons back (substantially upgraded), and everything seems to have returned to normal, or the way it was prior to ex-President Felipe Calderon’s declaration of war on the cartels in 2007. People and businesses have returned en masse, filling the streets day and night with vibrant social activity. Families now hit the fairs, markets are bustling, youths drink and mingle, and prostitutes are making their buck. Only the gringos have yet to rediscover the new Juarez, and thus remain confined to their borders. What happened? By most accounts, the war was simply won, and power has been consolidated under one authority. That is, one cartel defeated another, and monopolized the means of criminal violence. The Sinoloa Cartel, supposedly run by the infamous “El Chapo” Guzman, successfully pushed out the Juarez Cartel, and now any act of criminal violence in the city is strictly regulated by the new dons of the underworld. Most of the young gangsters who had been cheaply employed by the rival cartels to kill each other off have been eliminated or disarmed, thus limiting random violence to the occasional desperation of drug addicts and crimes of passion. And the widespread extortion of businesses mysteriously stopped as soon as the federal police left the city on orders of the recently elected president Enrique Peña Nieto. It appears that an equilibrium at the politico-criminal nexus has finally been reached again, and Juarez has been delivered from the bowels of Hell. But since nothing is real until you see it, my good friend Joshua and I must find a way to escape from our lives for a few days to explore those bowels south of the border, which are certainly no longer those of Hell, but rather of a festive purgatory far more cheery than this rigidly controlled peace of the Heavens. We notice it immediately. There are no more army soldiers at the border checking our car, no more masked federal policeman racing through the streets, and no more burned out our otherwise abandoned buildings dotting each business district. Traffic is positively bad again, busses clog up intersections, and road construction blocks everywhere you want to go. Street performers again pull tricks and juggle flames at red lights, and someone is always there to wash your windshield. The air is no longer tense and constricted. One can now breathe free of the expectations of random and cinematographic acts of violence. Our photojournalist friends on the crime beat have grown bored with their jobs. Three years ago there were too many homicides during any given 8-hour shift to cover them all, and one newspaper article had to describe multiple events. Today each murder gets its very own article, and several days might pass without any murders at all. 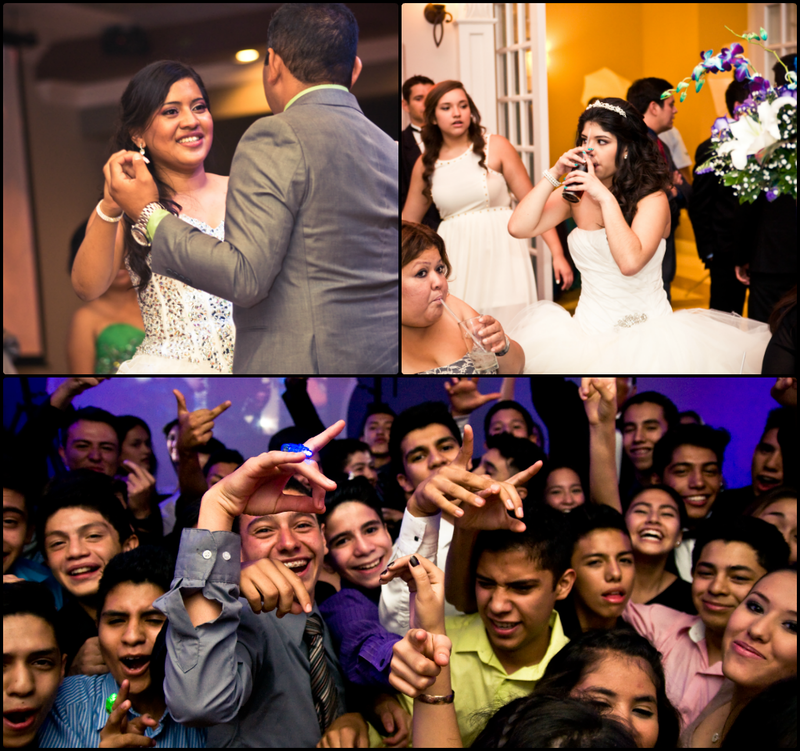 Some of our friends have been transferred to other departments altogether, and are now photographing social events, like quinceñeras and mini-marathons. Others have stayed on the crime beat, but are now directed to cover car accidents and special moments, like the return of children to school after summer break. During our three days on the beat, there is only one murderous event. It is Saturday evening around eight o’clock. Brian receives a call from fellow journalists with news of a double homicide in the slums at the southwestern edge of the city. We tear through the streets at 70 mph, dodging cars and potholes, hoping to get a view of the bodies before the police arrive and cordon the area off. But we are late, and it turns out that the two dead men are lying inside a house and cannot be seen anyway. Two others are only wounded, however. The whole neighborhood watches from their darkened front porches as an ambulance rumbles slowly down the dirt road towards the sea of lights on the horizon. No one knows what happened or why, or who it was that died. There are no screams, no cries, just a respectful quiet concealing the collective tickling of this spontaneous bit of entertainment. And then nothing. A false report of a fire. A non-fatal stabbing. A blind run after wailing police cars that are just running red lights for no good reason at all. Two full days pass without murder in Ciudad Juarez, something inconceivable just a few years ago. If this trend continues, the days of the “nota roja” (the graphic reporting of violent crime in Mexico) might be numbered. In our spare time we drive around to see other matters of interest. Downtown is full of brothels and prostitutes of all stripes who solicit customers from dimly lit street corners and shadowy doorways. The criminal syndicates who govern this underworld prohibit photography, so we keep our cameras down. But later we visit Eco2000, a large apartment complex that was built near to completion more than ten years ago before being abandoned when the construction company declared bankruptcy. Squatters who began occupying the vacant complex two years ago run out to greet us, asking to be photographed and offering us a tour of their homes. From the outside they are well-designed abodes for the middle class. But inside they are slums. Anything resembling running water or electricity is pirated and precarious. Sewage has nowhere to go. Security is left to the residents themselves. The state, legally blocked from removing the squatters but unwilling to provide them services and protection, has chosen to ignore them altogether. The next afternoon we meet “Marta,” a 40-year old police officer and one of the first women to enlist in the service back in 2008 when the city government promoted female recruitment to improve the city’s image. Studies out of Oslo and promulgated by the United Nations have suggested that women are less likely to indulge in corruption. But Marta says that she enlisted because she has always been attracted to the profession. She is of tough disposition, after all. 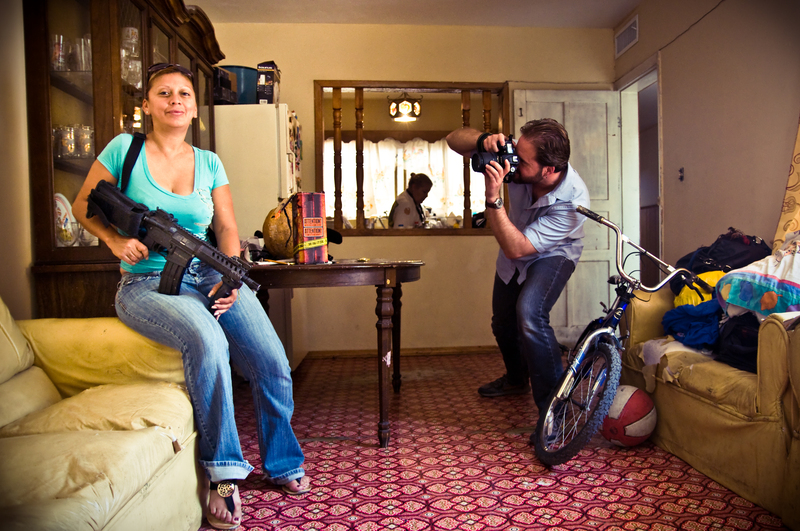 She worked as a bar tender in Juarez’ rowdiest dives for more than ten years prior to picking up a badge and gun. Today she is the sole caretaker of both her mother and her young son, although her 21-year old daughter, a US Marine stationed in El Paso, helps with a check from time to time. True to form, I ask to see her guns, and so we go home with her to explore the stockpile. While her mother and auntie busy themselves bottling roasted chiles to send to a lone son in Tucson, Marta fetches her pride and joy: a newly issued German Panther short-barrel automatic rifle and a 9 mm Beretta pistol. Unfortunately, we cannot just go outside and fire off rounds, for such displays of raw hoodlumism are beyond the pail in most places, so we pocket our boyish fantasies, stash the weapons, and head out for less bellicose adventures around town. Joshua and I decide to ride the bus, for it is only this that could possibly pretend relevance to a blog called Albuquerque Bus Stops. Further, as we devise, the bus provides a particularly interesting lens through which to view a city for what it really is. 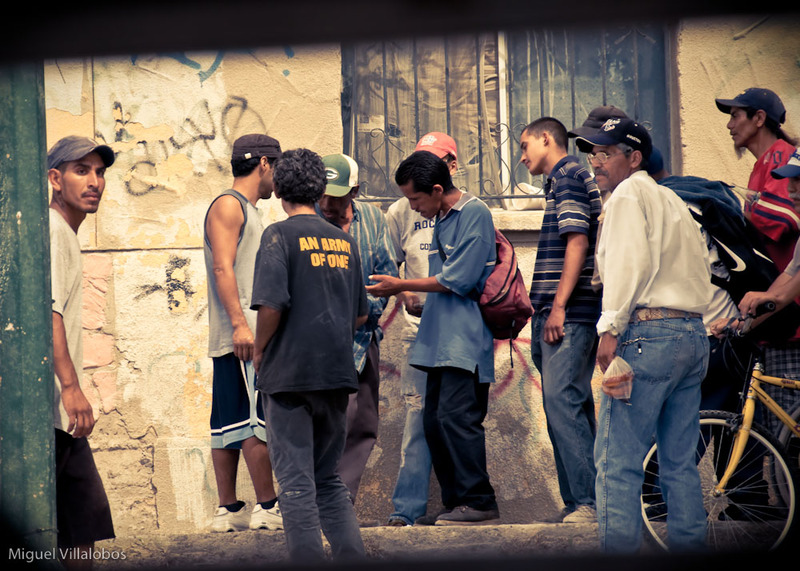 And what we see is telling, for it quickly becomes evident that despite the dramatic decrease in homicides in Ciudad Juarez and the apparent increase in social activity, perhaps the greater part of the city’s population continues to fear for their safety on a daily basis. 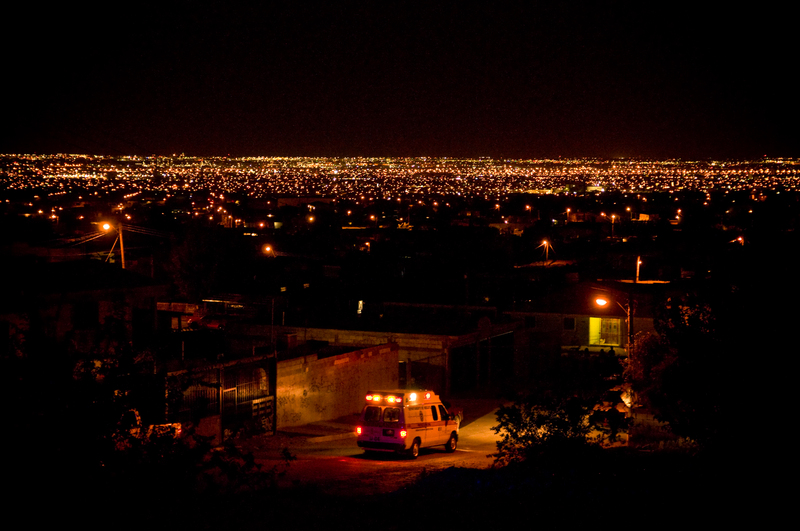 Juarez may have been delivered from the bowels of Hell, but the scars of that violence remain deeply embedded in the hearts of those who survived it. 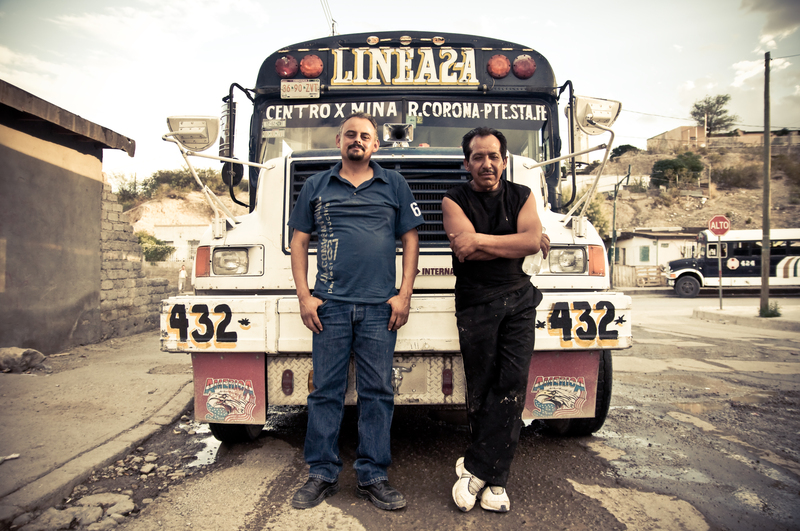 On the bus people are invariably reticent, with the exception of Carlos, our smiley driver. Passengers all smile, too, but when I approach them, they turn to ice, their words dash and hide, their shoulders grow. When I ask why people are back out on the streets, they tell me it is out of necessity, not for lack of fear. Two 15-year old girls at the back of the bus are staring at us and giggling. I ask them if they feel safer in the new Juarez. No. I ask them if they know anyone who has been killed. They respond by unfolding t-shirts upon which the face of a teenage boy is imprinted. They are just now returning from the print shop, and are on their way to a funeral. The boy on the shirt is one of a the girls’ cousins. He was bludgeoned to death with stones the day before. We stop for a break in Altavista neighborhood, which is the end of the line, and just down the street from the driver Carlos’ house. His wife and daughter come down to see him, and then ride the bus with him on its last run of the day. 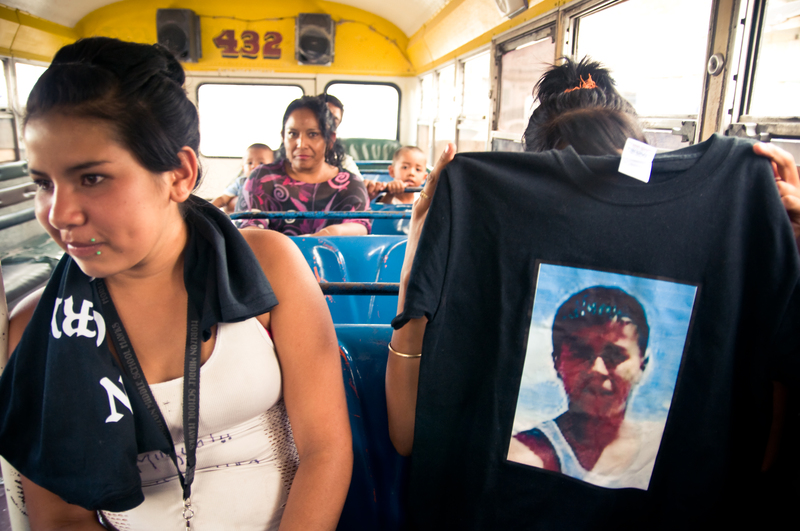 A young boy named Edgar is washing buses for less than three dollars a pop. A family of drunkards invites us in for some mescal while their dumb-minded matriarch tries to stick her fingers in my pockets. Across the street the schedule master keeps tabs in a notebook while his young daughters play about on the sidewalk. A mangy mutt, big-balled and dreaded, lumbers lazily in their midst. The sun is setting over Ciudad Juarez, and a cool breeze rolls down these desert hills. Just across the valley America is a glimmering city of gold. Back downtown the plaza of the cathedral buzzes with activity. Deportees sit about and wait for eternity to pass, drunks and addicts meander restlessly, and evangelical Christians rant on over loudspeakers about the second coming of Christ. We meet Johnny, a 45-year old ex-gang banger from Los Angeles. Having been born in Mexico and raised in the U.S., he was deported five years ago after serving more than a decade in prison for gang-related violence in California. 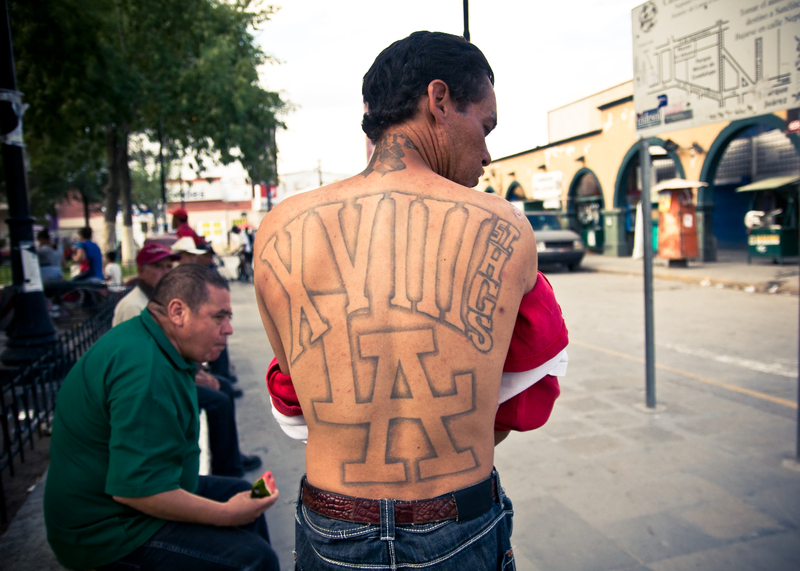 He removes his shirt to show his tattoos, which indicate that he is/was a member of the 18th Street gang, in association with the “Sureños,” the “Mara Salvatrucha,” and the “Mexican Mafia” prison gang, all of which is still a matter of great pride long after the thrill of teen ganging is gone. But even if he wanted out, and out for good, his old identity follows intrepidly behind him like a dark shadow. A shoe shiner working nearby recognizes the danger in all this animosity, and goes to Johnny to insist he move on. I pat Johnny on the back, too, and guide him away. After all, the playing out of old gang rivalries decades out of adolescence and thousands of miles from homie homeland is all fun and games until someone gets hurt. Late in the evening we are back out on the crime beat and twiddling our thumbs because nobody is getting killed. But it is an unnerving peace, for it is doubtfully the reflection of a healthy society, rather simply a tenuous accord between the forces of darkness lurking just below a veneer of democracy and the rule of law. The war could start again at any time. Prior to our arrival, one police officer was assassinated nearly every day for over a week, supposedly a strategy of the city’s new kingpin, Gabino Salas Valenciano, to bully the municipal police into a sort of pact of mutual assistance. And then, mysteriously, Gabino was killed during a shootout with federal police last Wednesday. Now everyone is on red alert, uncertain of the scale of retaliation that might ensue. But tonight is the soft lapping of waves on pebbled beaches, so we decide to investigate other matters. 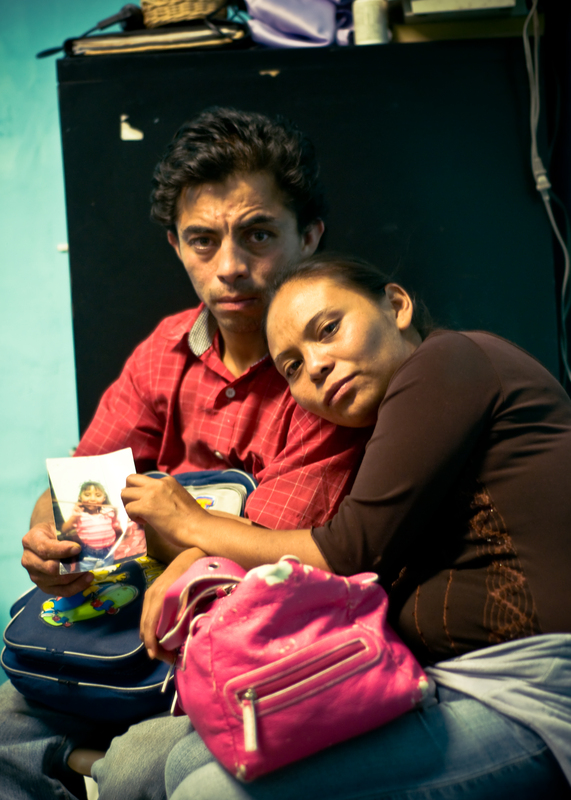 At the Casa del Pescador, a dingy evangelical mission located near the main border bridge that runs a daily soup kitchen and provides various forms of assistance to broke immigrants, the homeless, and drug addicts, we find Pedro and Luci tearing up under the impassioned prayers of Pastor Jesus. They hold up a picture of their 5-year old daughter, who recently was taken into the custody of DIF (child protective services) after she swallowed some prescription medicine that was left unguarded while Pedro was in Juarez looking for work. Pedro then went back to get his wife in Mexico City, and they both have now traveled with no money or belongings to retrieve their daughter in Juarez. But DIF says the investigation of parental neglect could take 6-12 months. 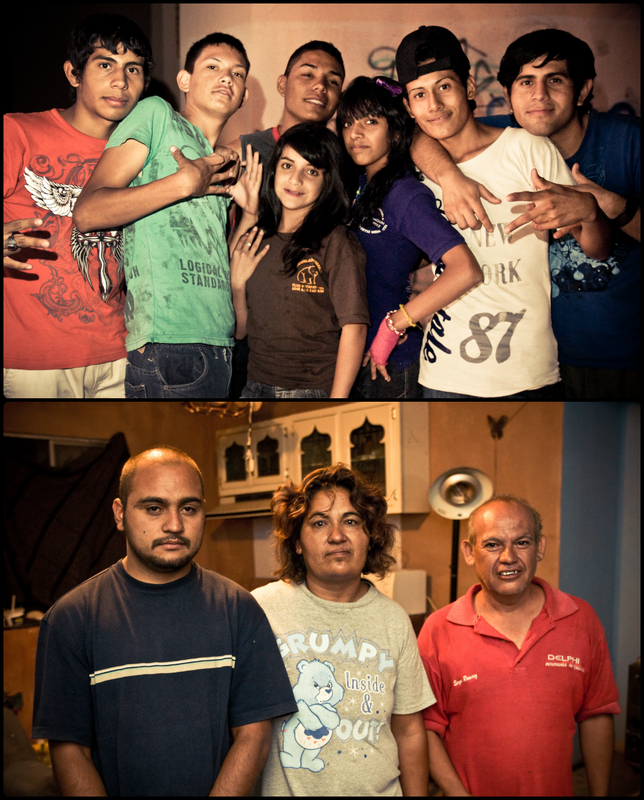 Pedro and Luci have two more children back in Mexico City, and the tragedy begins to unfold. Poverty destroys families. Poverty kills. We agree to drive the couple across town to the Casa del Emigrante, where they will be allowed to sleep, shower, and eat for three days. After that, they will be on their own again, just another couple of immigrants lost on the road of progress. The next day our old jalopy craws slowly over the border bridge under a hot midday sun. The engine overheats. We cut it at the bridge’s crest, and roll silent and sweaty into the lanes of the US Customs inspection unit, where we are searched and questioned. A gaunt man in front of us is hand-cuffed and taken away, his face like an old carpet rotting on a river bank. After twenty minutes a blue-eyed man flags us on with a smile, wishing us a good day. We are stateside, and Ciudad Juarez, in war and in peace, is behind us, even if always deep inside. Today I am not riding the bus. A pile of ungraded student exams stared me into a corner until I was huddled, whimpering, and anti-social. And so I thought best of it to sit still in my seat, let the billowing clouds whisper their sweet nothings through the open window and into my tickled ears, and reflect on the bloody, bittersweet, bus stop memories of the year 2010—in the heart of Albuquerque’s southern sister, Cuidad Juarez. It was the height of Mexico’s drug violence. Ten to fifteen corpses, mutilated or riddled with bullets, dumped in random places every day. More than three thousand people were killed in Juarez that year as two Cartels and their gangboy hit men fought over the “plaza” through which billions of dollars worth of drugs are smuggled to reach addicts and bored youths all over the United States. Jolted by the media reports of such a fiery massacre so close by, my friend Roberto and I decided to spend a few days there to see for ourselves what was happening. For reasons I have long forgotten, we left our car in El Paso and took the city bus. There are so many differences between the Duke and the Daisy, not least of which is the astronomical disparity of violence, but I shall limit myself here to a cursory exploration of public transit in Ciudad Juarez. First, of course, the buses are different. They are mostly second-hand school buses imported from somewhere in America, now painted pretty, adorned with protective saints and virgins, and in some cases decorated quite extravagantly on the inside. Secondly, they are often full of people, most of whom are travelling to or from work, and typically not drunk off their gourd. 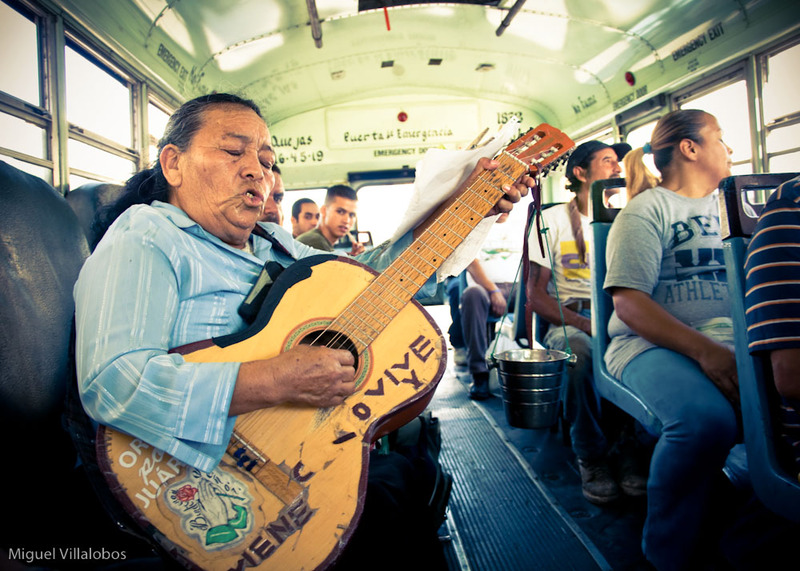 Thirdly, there is commonly some young cowboy or poor old lady clanking away on a cheap guitar and singing so finely out-of-tune about Jesus Christ All-Mighty or the baddest drug boss on that side of the Rio Grande. The roads are also quite different, typically narrower and bumpier. On the main causeways you might hear the screech of tires and glimpse a column of masked and heavily armed federal police officers or soldiers wailing by in pick-up trucks. Smoke might rise from somewhere on the horizon, and it might just be some trash burning. As you move away from the town center towards the poor suburban expanses and mountaintop slums, the roads at times will disappear altogether, but the bus will keep lumbering on. The driver will wrench the wheels leftward, drop the clutch, and with a clunk and thud roll down into a potholed drainage ditch that seconds as a roadway—when it’s not raining, of course. Swaying violently from left to right to avoid the pot holes, the bus will lurch and moan on just beneath half-broken or half built homes of cement block, emerging from time to time for a moment, just to sink back down. As the bus approaches the poorer, more desolate neighborhoods near the great mountainside white-stone message, “Lee la Bibia” (Read the Bible), it might squeal to a halt for a broken down car in the road, right in front of a “pharmacy”—or a drug house, where dealers and addicts make transactions out in the open. When you not-so-discretely snap a photograph through the bus window, the other passengers might begin to hyperventilate. They are afraid. After the bus moves on—and the drug dealers having failed to notice the voyeurism—everyone might sigh with relief and curse the stupid gringos. At the top of holy mountain you can get off the bus at its last stop and walk up into the Tarahumara Indian colony, where you had best bring a present next time to show respect, lest there not be a next time! 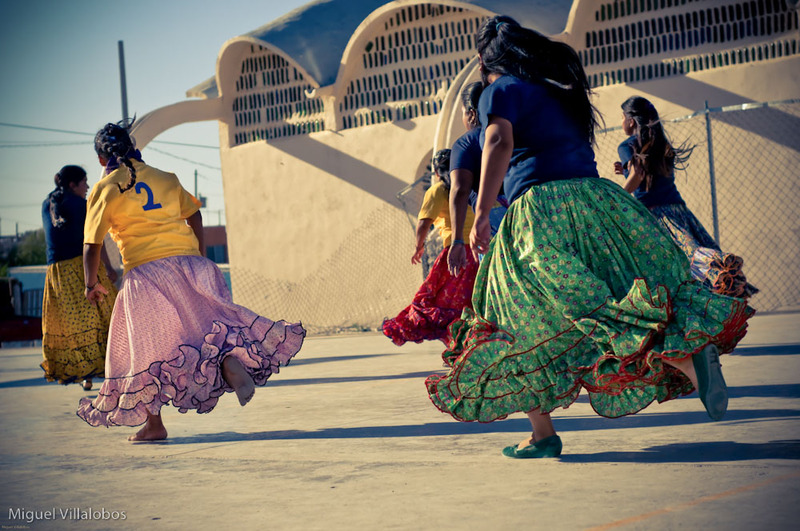 But on a good day, you might just get to see a great and beautiful rarity: a Tarahumara women’s basketball tournament! Late in the afternoon, given the Earth still spins on its axis, you might see the sun sink and sky darken. Burning tires will send smoke and stink from all around. Children will be playing in the streets, laughing as they do. Pops and flashes will glisten in the vast expanse beneath you, and you will longingly look over it all to America, sitting there so still and quiet on the opposite side of the Rio Grande Valley. The day’s last bus might arrive just then, and you will take it, and pray for peace, both in your loving heart and out in the streets. As the sun says goodbye, you might be walking back across the border bridge where a few hours earlier a US border patrolman shot and killed a 15-year boy who tossed stones at him from the Mexican side of the Big River’s pithy stream. 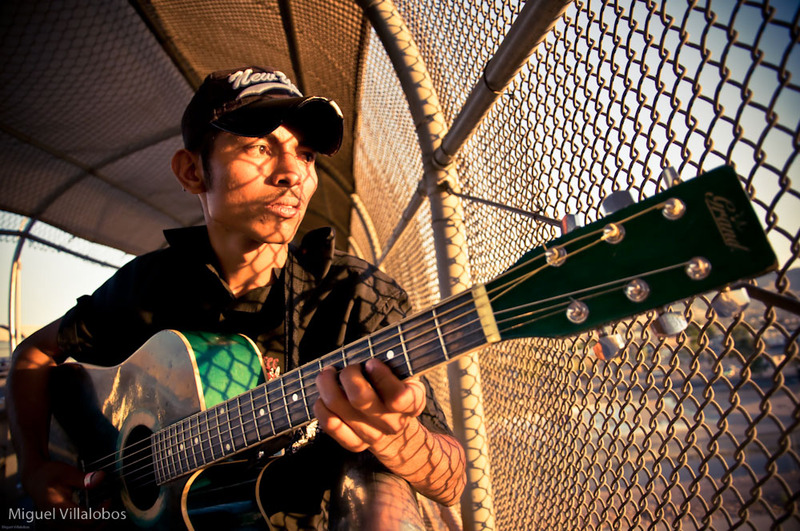 Another teenager, who witnessed the slaughter from the bridge above, will be singing a corrido (story-telling folk song) about the tragic course of events. You will want to take a photograph to remember, for your mind and memory seem at times even more delicate than life itself.